Ok, Beginning Groovy and Grails has been available for about a week and my co-authors have already announced it but I wanted to wait to make my announcement when the electronic/PDF version was available. It was a long but fun process and I am very proud of the results. I think we have managed to put together a book that will easily enable developers to get up to speed with what they need to know in Groovy to begin being productive in Grails. 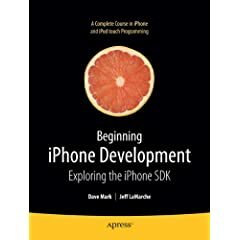 I think the remainder of the book does a good job of providing a strong foundation of the common things, plug-ins and tips a new Grails developer will need to know in order to put together a fully functional Web 2.0 application. Currently Amazon.com is sold out of print versions but you can still order and they will be getting more soon. Or you can purchase the print or electronic version from the Apress website. I have been waiting on this book for months. Got it in the mail from BookPool.com today. I plan on going through it and blogging about my experience. So far it looks great! I can not wait to go through it all. I feel like a kid at a toy store. I wish the free sample chapter wer a more interesting one.